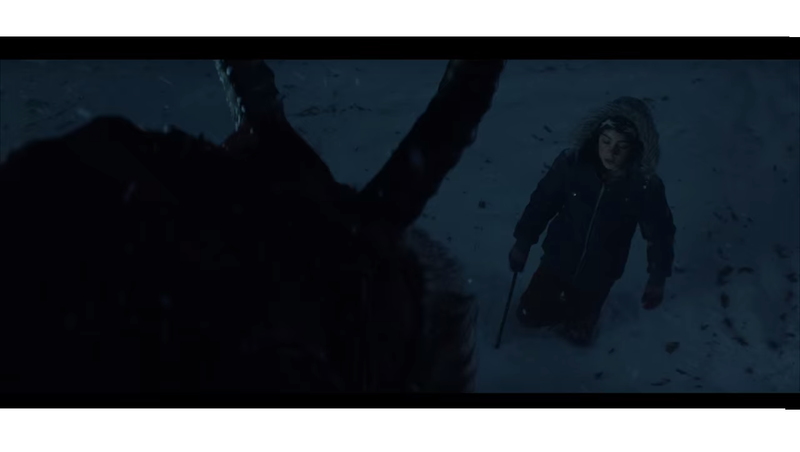 Trick ‘r Treat director and frequent Bryan Singer collaborator Michael Dougherty’s new film is about the German folklore character Krampus: a horned and hoofed figure that somewhat resembles a goat-demon. The new trailer for the film is quite revealing as to what we might expect from this horror comedy. Krampus has a cast packed with comedic talent. Adam Scott, Toni Collette, Allison Tolman, and David Koechner all share the screen as a family coming together for the holidays. We see early on in the trailer Scott and Koechner’s characters butting heads. It is a quietly funny altercation. These early snippets also seem to pigeonhole Koechner into the stereotypical comic relief role. Tonally, the trailer is strange. 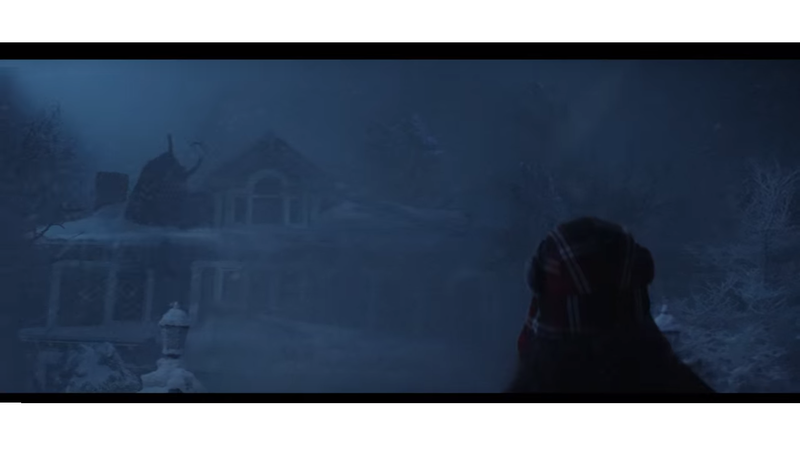 It is clearly being marketed as a straight horror, but that leaves the “monsters” in the video to appear ridiculous. 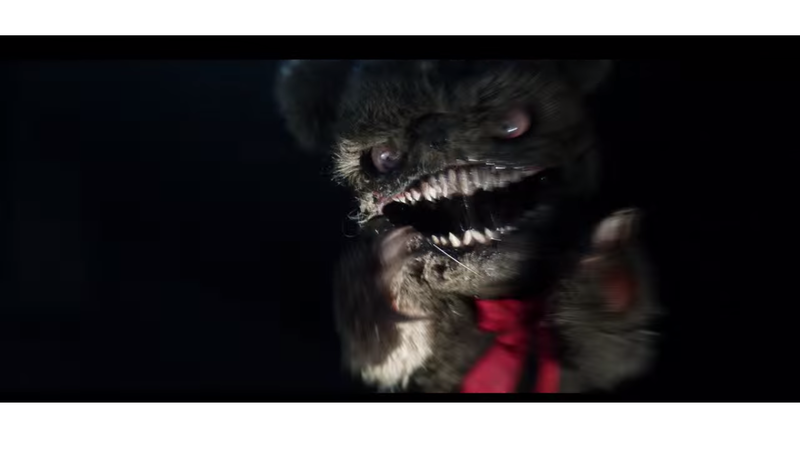 There is a sharp-fanged teddy bear and a grotesque Jack-in-the-box. 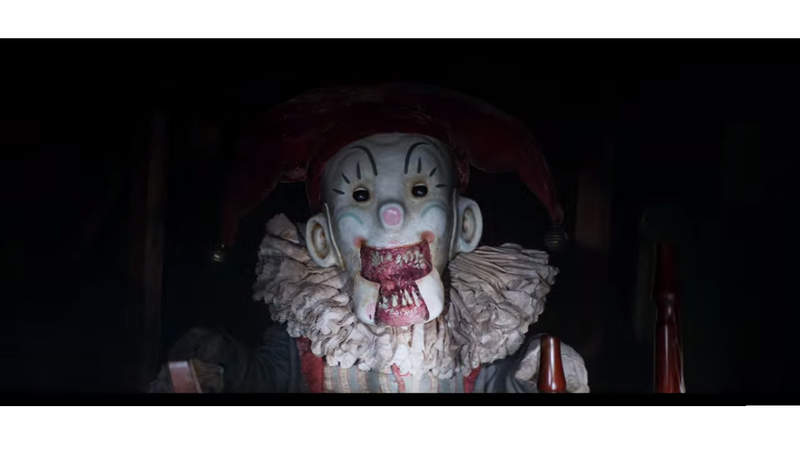 Both are placed in the trailer for the sake of jump scares, but they look far too comical for that to be effective. My assumption and hope is that they will play more comedic in the film itself. The trailer prominently features its title monster. First we see him perched atop the house, looking massive. Then we see a lot of his feet. Finally, we see his horned head at the end. It is a strange, lumbering creature that doesn’t do much scare-wise. My hope for this film is something that the trailer doesn’t provide. The trailer shows me that the film probably won’t do well as a straight horror film. The premise of a killing Christmas creature, however, has room for a lot of dumb fun. If this film turns out to be a comedy, it may fair better. Because, as the trailer shows, the monsters in this monster flick look too silly to be scary. Krampus opens nationwide on December 4. Are you excited for Krampus? What other upcoming horror films are you looking forward to? Let me know in the comments!